When it comes to African American skin care, one of the problems men encounter is pseudofolliculities barbae or PFB, which is commonly known as ingrown hair. Due to this, bumps and dark marks develop. When these happen to African Americans, this is known as razor bumps. Oftentimes, these razor bumps can be found in the scalp, chin, neck, jaw line and cheeks. Although ingrown hair can occur to any man, razor bumps are particularly common among Latino Americans and African Americans. PFB develops when the curved follicle grows on the skin in a parallel way. Basically, this means that it grows inward and not out of the skin. When the hair grows inward, this leads to horrid bumps, pain, irritation and inflammatory reactions. There are also times when PFB happens after a man shaves his scalp or beard. This happens when you shave too closely and it pierces the hair follicle. Avoid triple or double edge blades so that this does not happen. This may be the reason African American men often grow out their beards. However, for those that prefer a clean shaven look, there are ways to prevent PFB. One way is to shave only using a single-blade shaver. African American skin care entails discipline and consistency. Hence, make sure you throw out your razors every two to three days. Remember that blunt shaving blades are a primary reason for irritation. Another tip you can follow is to apply a generous amount of shaving cream on your face so this will make it easier to shave your facial hair. If you don't want to risk shaving with a razor, you could opt for a clipper instead. This may not shave as effectively. However, it will give you that five o'clock shadow look. You may want to consider this option since it is far safer. If you already have razor bumps in your face, there are prescription creams available in the market today. You could use a topical antibiotic which studies have shown have reduced bumps to around sixty percent. You could also use retinoids or tazarotene, which have made a significant difference after sixty days. There are also toners which works best after shaving. If you have an exfoliating treatment once a week it will help remove dead skin cells from your face and It also helps decrease dark marks as well. The best thing for you to do if you want to effectively protect your skin is to consult with a doctor or dermatologist so you can get the proper medical advice. 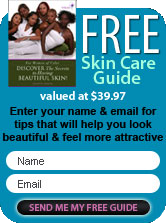 African American skin care is all about knowing how to prevent such ailments from occurring.